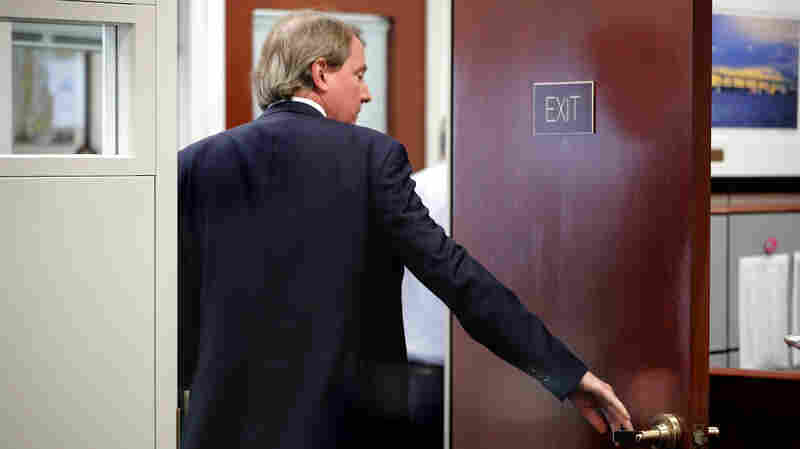 October 21, 2018  Don McGahn's tenure was capped by shaping Brett Kavanaugh's fight-back rebuttal against allegations of sexual assault. The office has been a perch for major figures from John Dean to Alberto Gonzales. October 11, 2018  #HimToo as a hashtag has a history that predates a viral tweet about a son's dating habits and the outrage that followed the Kavanaugh hearings. October 10, 2018  How do we discuss sexual assault and consent with teenage boys? 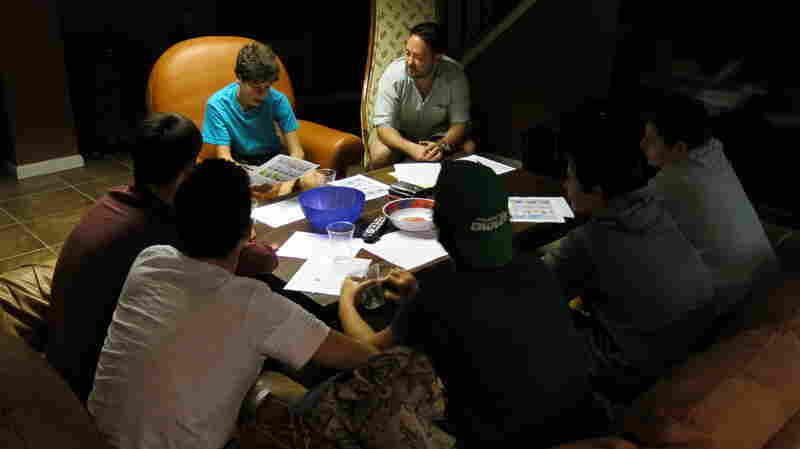 A Jewish organization based near Philadelphia has developed a program to discuss difficult topics such as this in an all-male setting. 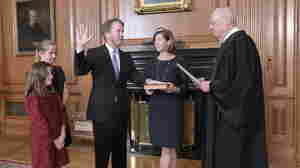 October 6, 2018  The federal appeals court judge was confirmed after a narrow Senate vote largely along party lines. 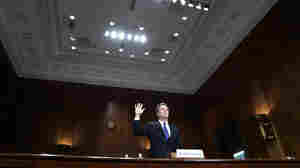 He was sworn in Saturday evening so that he can begin work immediately, the Supreme Court said. 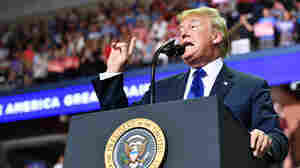 October 5, 2018  The fight over the nomination rises from the emotional cauldron that boiled through the 2016 campaign and has simmered ever since. 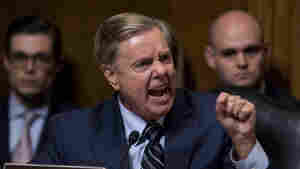 October 2, 2018  Backlash is building in conservative circles in reaction to the fight over the Supreme Court nomination of Brett Kavanaugh. 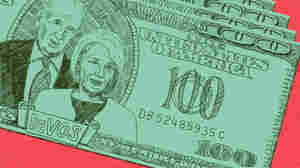 It could energize GOP voters, with midterm elections just over a month away. October 2, 2018  William Rainford, a dean of the university's National Catholic School of Social Service, apologized for a tweet that the university says "demonstrated a lack of sensitivity." October 1, 2018  For now, the court will be evenly divided between conservative and liberal justices. In the next week, the Court will hear cases involving endangered species, the death penalty and immigration law. 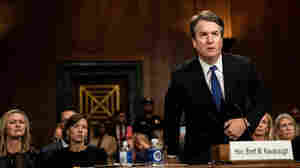 September 29, 2018  NPR's Scott Simon says Christine Blasey Ford's accusations against Supreme Court nominee Brett Kavanaugh unlocked a heavy door holding in American women's experiences with sexual assault. 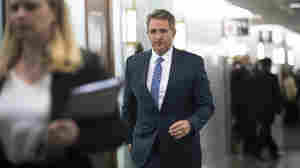 September 28, 2018  "You're telling me that my assault doesn't matter," one protester said to Arizona Republican Jeff Flake as he headed to a Senate Judiciary Committee meeting. 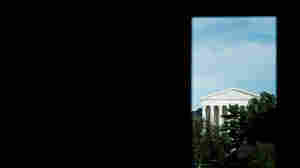 September 28, 2018  Moving ahead without more FBI scrutiny could hurt the reputations of the Senate and the Supreme Court, the ABA said. President Trump later ordered the agency to reopen the case for one week. 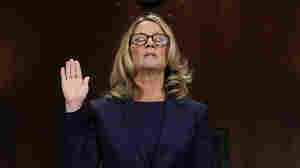 September 28, 2018  Christine Blasey Ford and Brett Kavanaugh each gave riveting testimony in the daylong hearing called to look into Ford's accusation that Kavanaugh sexually assaulted her when both were teenagers. September 27, 2018  Brett Kavanaugh's Supreme Court nomination was sailing through until Christine Blasey Ford came forward with a sexual assault allegation. Get caught up on what led to Thursday's hearing. 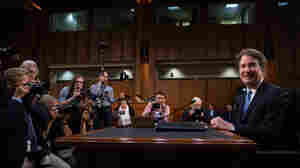 September 25, 2018  Senate Republicans confirm they have hired a female attorney to question Brett Kavanaugh and his first accuser, Christine Blasey Ford, during a hearing Thursday. 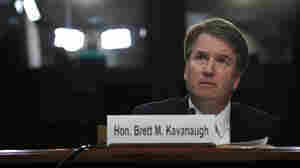 September 24, 2018  Supreme Court nominee Brett Kavanaugh denied allegations of sexual misconduct against him. 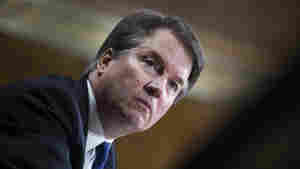 "I'm not going to let false accusations drive us out of this process," Kavanaugh said in a TV interview. 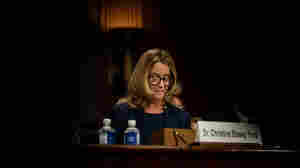 September 21, 2018  Christine Blasey Ford and Sen. Chuck Grassley, R-Iowa, have been negotiating whether and how Ford would testify about her allegation that Supreme Court nominee Brett Kavanaugh sexually assaulted her. 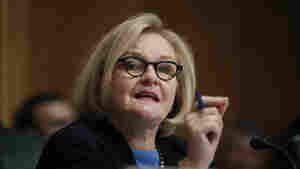 September 20, 2018  The Missouri Democrat, facing a tough re-election battle, says her decision is not based on recent allegations of sexual misconduct against the nominee, but on other issues. 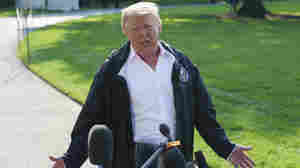 September 19, 2018  The president told reporters "we'll have to make a decision" if Christine Blasey Ford "makes a credible showing." September 18, 2018  Attorneys for Christine Blasey Ford said that an investigation was necessary before the committee held a hearing or made a decision. 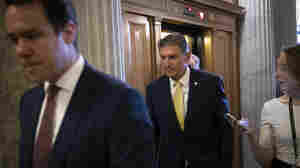 But the panel's chairman is moving forward with Monday's hearing. 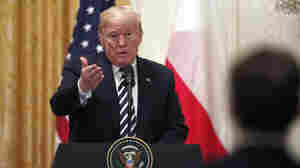 September 18, 2018  After a private meeting with the president of Poland, Trump conducted his first formal question-and-answer session with reporters since July, and defended his Supreme Court nominee. 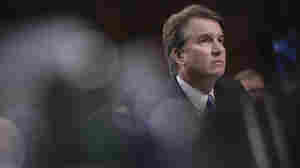 September 16, 2018  Senators from both parties called for a delay shortly after The Washington Post published a story naming the woman who says that Kavanaugh tried to sexually assault her when they were both teenagers. 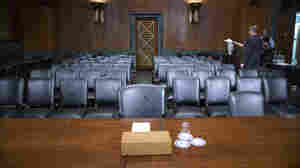 September 8, 2018  Nothing during the hearings seemed to change the likelihood that the judge is headed for a spot on the nation's highest court. 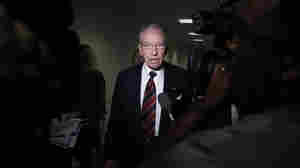 But the week did help elevate the profiles of two Democratic senators.